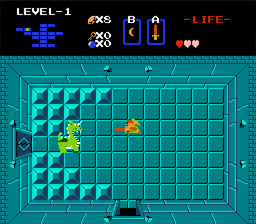 ROM Hacks: Mirror The Legend of Zelda Hack released! Re: ROM Hacks: Mirror The Legend of Zelda Hack released! This... is actually pretty cool, I have to admit. It's disorienting and weird, but it feels fresh in a way while still feeling familiar? I might actually give this an extended try. There's already precedent for this from the Wii version of Twilight Princess, and Master Quest in 3D version of Ocarina of Time. I'm surprised this hack wasn't made sooner. I'm gonna have to try this bad boy out, thanks for makin' this hack, man. My game crashes in Level 1 whenever I try to return upstairs with the Bow. The rom I used is PRG1 so maybe that's wrong. I'm going to patch again using PRG0 and hopefully that works without crashing. Yep i had to use PRG0 version and now i’m able to proceed & beat Level 1. I love the hack so far. It’s familiar enough so that I know where I’m going but still challenging to get there. I noticed you must’ve edited the old man in level one to correctly state “western most room is the secret” since the level is now flipped. I think a Goonies II mirror hack like this would be excellent. Frankly most games would be fresh again with this simple but effective hack. Thanks guys. I'm glad you're enjoying it. 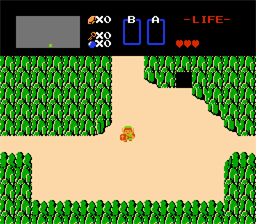 To me, The Legend of Zelda is the perfect game to have a mirror image. The game is so familiar, yet different. But the best part, is all the new routing options. Because of how screen scrolling works, many of the old screen scrolls are no longer available and the mirror opens up a lot of new ones. So it's like we're trying to route a whole new games again! The game gets stuck in the 2nd quest in level 4 in the room where the raft is located. As I approach the stairs, the game is frozen.